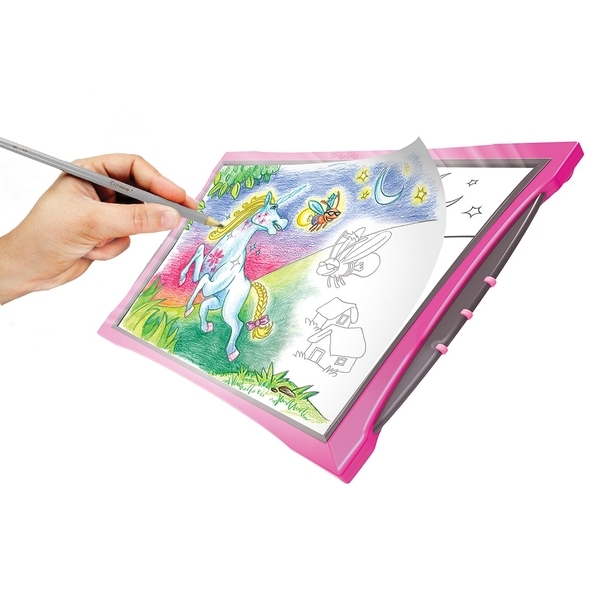 The Crayola Light Up Tracing Pad lets kids trace and colour detailed scenes. The ultra-thin tablet design and bright LED drawing surface make tracing easy. Start tracing right away with the content inside, then download 100s of images online. Includes 1 tracing pad, 12 coloured pencils, 1 tracing pencil, 10 content sheets and 10 blank sheets. One supplied. Requires 3 x AA batteries, not included.